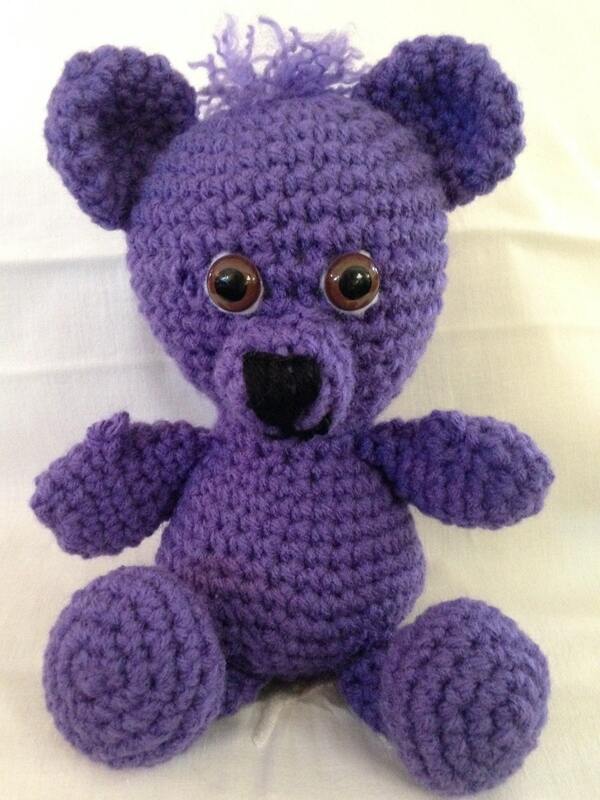 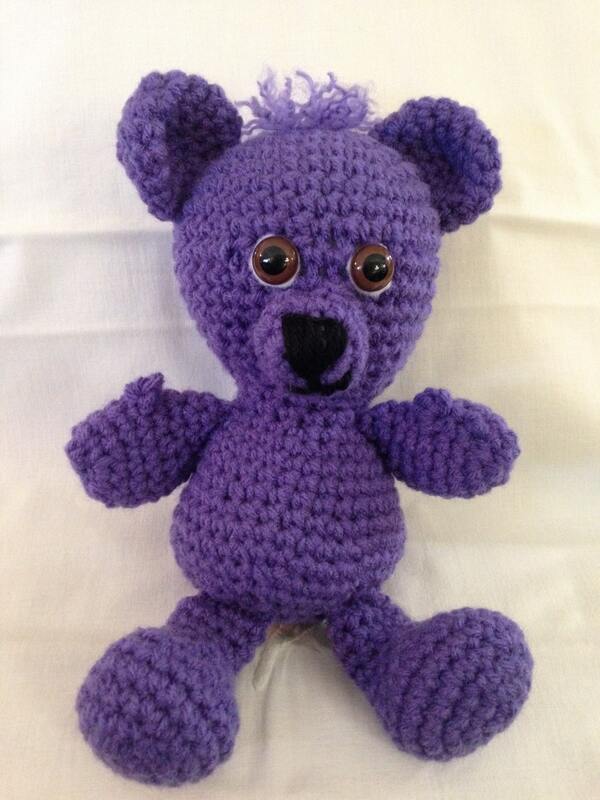 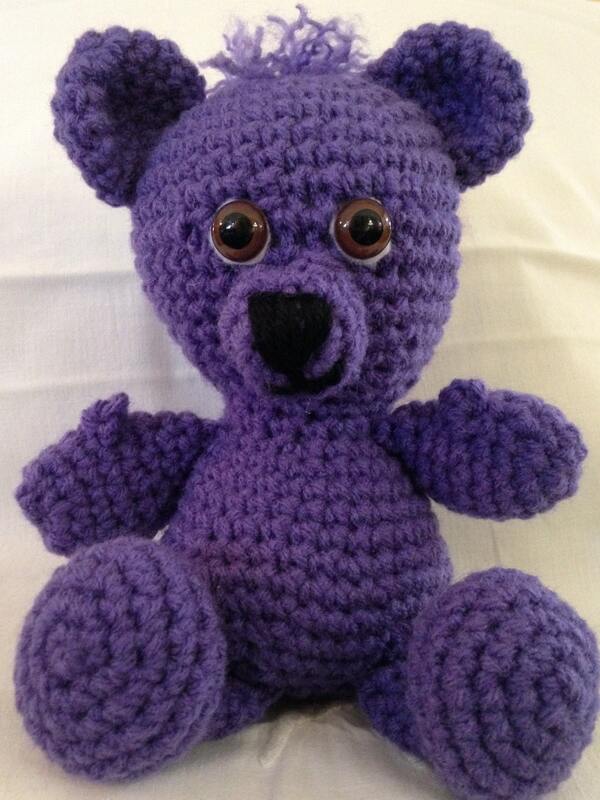 This little Crocheted purple bear is handmade with love. 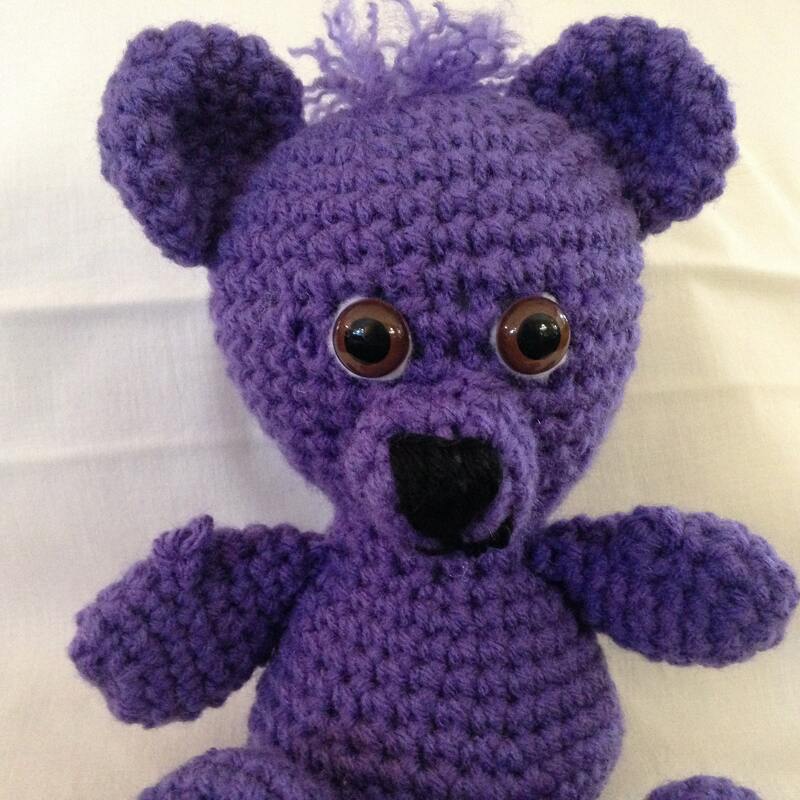 The Expressive face and fuzzy fur hair make him double loveable and snuggle worthy. 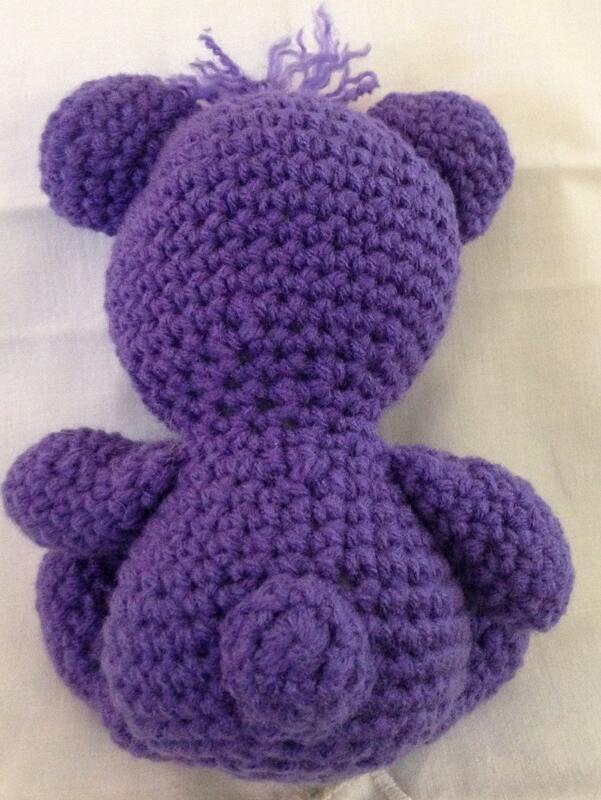 His small size is perfect for an every day companion. 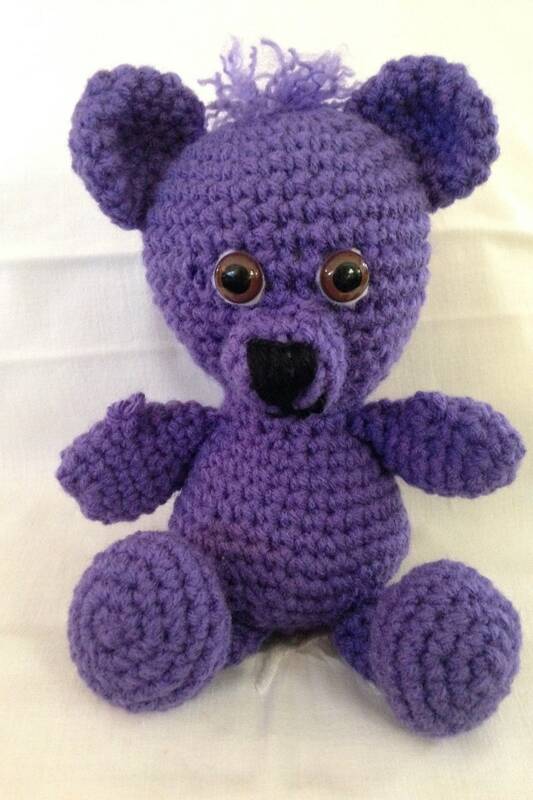 He has little black eyes safety eyes so he is toddler safe. 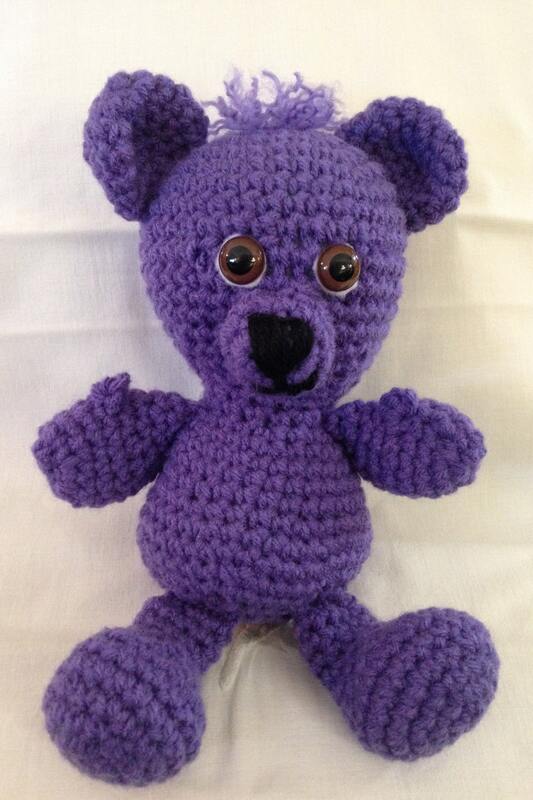 His nose and mouth are black and hand embroidered. 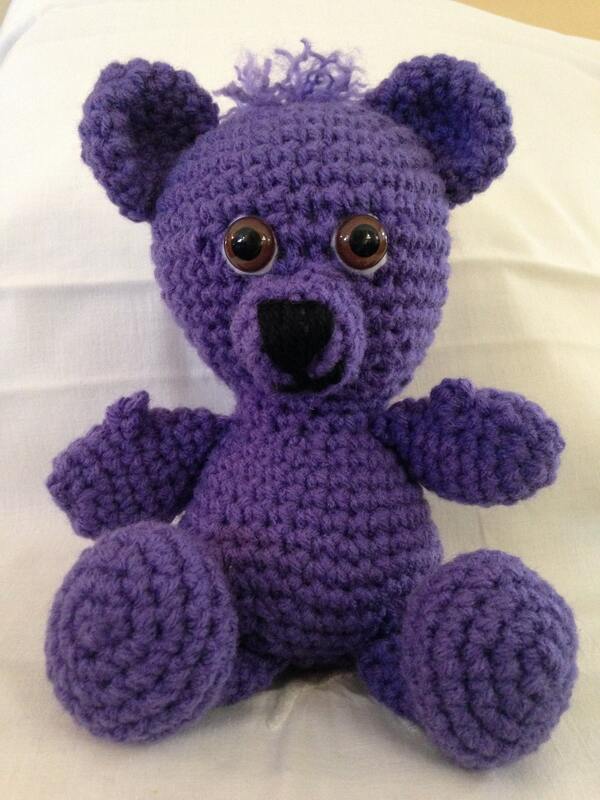 He is made with 100% acrylic yarn and stuffing that is color fast and washable. 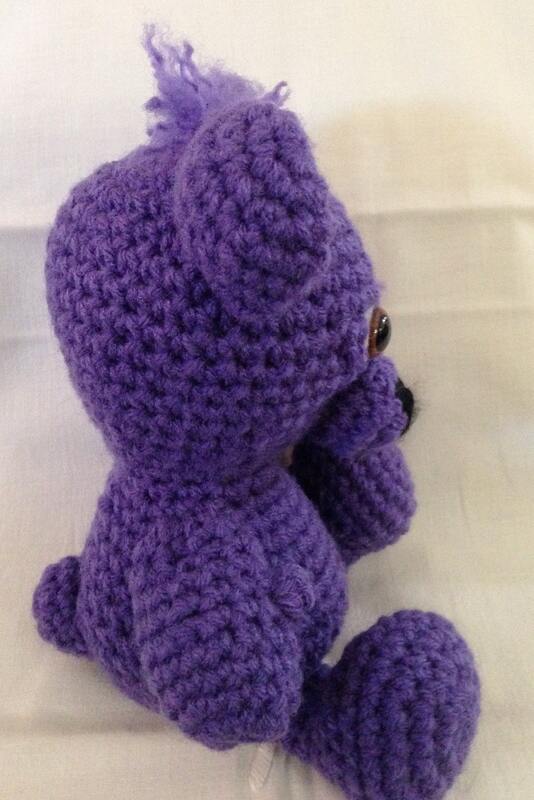 He is a special little purple fellow with his little thumbs and fuzzy top knot both make him very special. 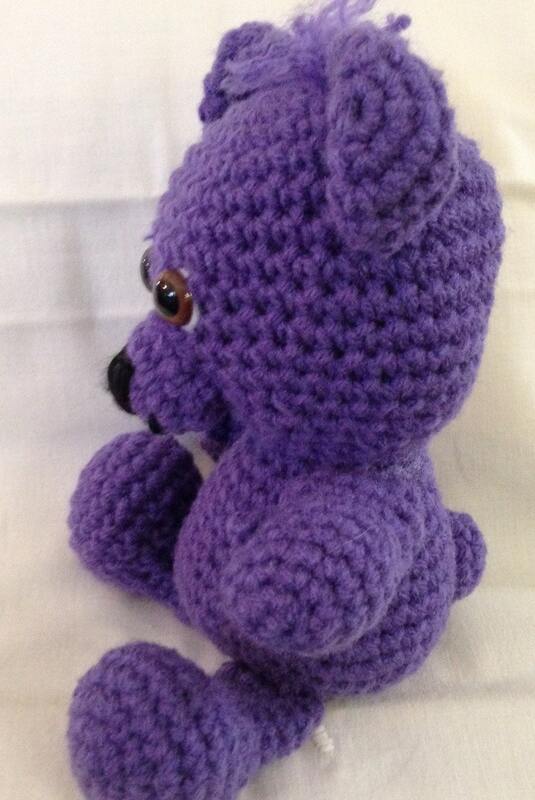 His arms and legs are just the right size for dragging along and he even has a round little crocheted tail.